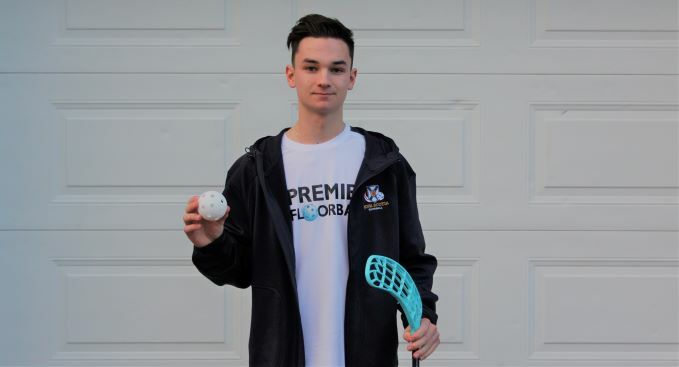 Fifteen-year-old Ethan Morgan from Bedford, Nova Scotia is headed to the U19 Floorball World Championship in May, but he won’t be travelling far. For the first time in the tournament’s history, Canada will be hosting the championship in Halifax. Ethan is the youngest player selected for Canada’s team. 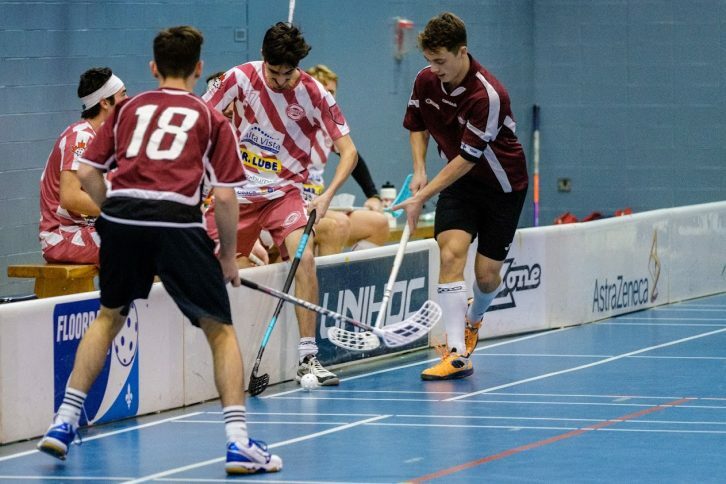 Floorball is described as a mix of soccer and hockey. The goal is to put the ball in the back of the net, while preventing the other team from doing the same using sticks. Unlike hockey, the sport is played in an indoor gym; there is no physical contact and players can’t use their hands to stop the ball. Each game is made up of three 20-minute periods. On the court, each team has six players: five court players and one goalie. Co-coach Tyler Brush said about 40 players tried out for the team. During tryouts Brush noticed Ethan’s athletic ability right away, but knew he wanted him for the team because he had a great attitude paired with the mindset to listen and learn. About five years ago, a friend of Ethan’s took him to a club team in Bedford for a training session. He liked it so much, he kept going back. In April 2018, he went to a tournament in Toronto and was approached by Team Canada. They asked him to come to the U19 men’s tryouts in Montreal in November. On Jan. 25, Ethan got an email saying he made the team and would be competing in four months at the U19 World Floorball Championship. The championship is held from May 8 to 12. Ethan attends Charles P. Allen High School in Bedford. The World Floorball Championship will be his first international game. He said he’s most excited to play against the European teams because, unlike in Canada, floorball is more widely known and played in Europe. He expects to learn a lot. “It’s going to be a real eye opener,” Ethan said. He’s also looking forward to making new friends. “It’s going to be crazy to meet these crazy, spectacular players that I’ll be playing against and playing with,” he said. According to Brush, Canada’s team has players from Ottawa, Toronto, Cambridge, Quebec and Nova Scotia. Due to the distance, the team will only have two training sessions together before the championship in May. The first session will be in Montreal, on a weekend in March, and the second will be a few days prior to the championship in Nova Scotia. For now, the players will train with their local clubs. “Being so spread out, it’s hard to get everyone together on a consistent basis. Unfortunately, in comparison to the European countries, two weeks prior they’ll have all their guys together and train every other day and we can’t quite do that unfortunately,” Brush said. Seated in Division B for the 2019 World Floorball Championship, Canada is scheduled to play Germany, Slovenia and New Zealand. Five players from Canada’s 2017 team will be returning. For the other 15, this will be their first international championship with a home advantage. For Ethan, there’s a double home advantage: school. “All of Canada’s games are scheduled in the evening, so missing school won’t be an option,” Ethan said. Brush said he’s excited to see Ethan compete in a level higher than in Montreal.